If you're up for a family adventure without a good scare, Kid Friendly Corn Mazes are the perfect option for you. What's not to love about the great outdoors in the middle of Autumn? 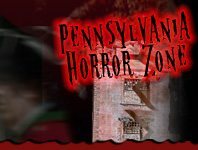 Round up all of your family and friends and go on a peaceful journey through one of PA's established farms, while celebrating Halloween with a traditional activity. Day time activities are the perfect way to celebrate all that Fall has to offer with the kids, without having to worry about how scary it might be. Ride your way to the end and there might even be some festive snacks waiting for you!